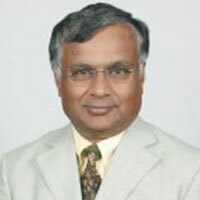 A 1968 engineering graduate of IIT-M, Raju Rajagopal spent much of his corporate career in the United States, retiring as the COO of a healthcare consulting company. Since 2000, he has fully devoted his time to working with NGOs in India on poverty alleviation programmes, disaster management, and communal harmony initiatives. He joined the UIDAI (Unique Identification Authority of India) team in 2009 as a volunteer at the invitation of the Chairman and led its early outreach initiatives with civil society groups. He currently lives in Berkeley, California. Can something like UID be created without compromising privacy beyond acceptable limits? If so, how should the Aadhaar Bill have been written? What are its specific and avoidable weaknesses? Aadhaar Bill and government benefits: Risk of increasing exclusion? Aadhaar Bill and government benefits: Better targeting and reduced corruption?